In Justin Devlin’s stories, his pain is the villain. 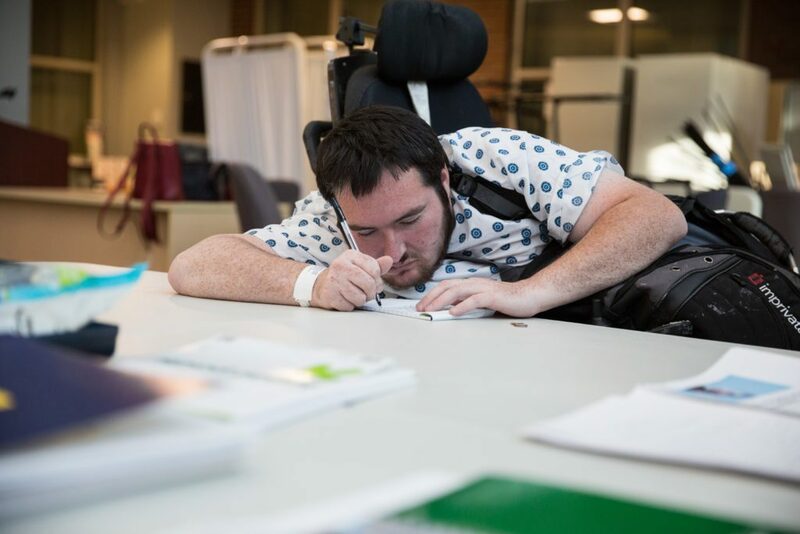 He is the superhero in a wheelchair, kicking his illness to the curb, sentencing his constant pain to a lifetime behind bars. This article is reproduced with permission from STAT. It was first published on July 7, 2017. Find the original story here. 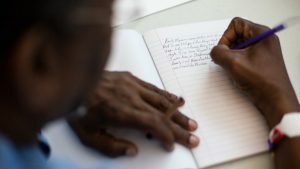 Left: Larry Bates works on a piece of writing during a creative writing group for the homeless at the Barbara McInnis House on June 26, 2017, in Boston, Massachusetts. Photo by Kayana Szymczak/STAT.